Who knew air could be so much fun? 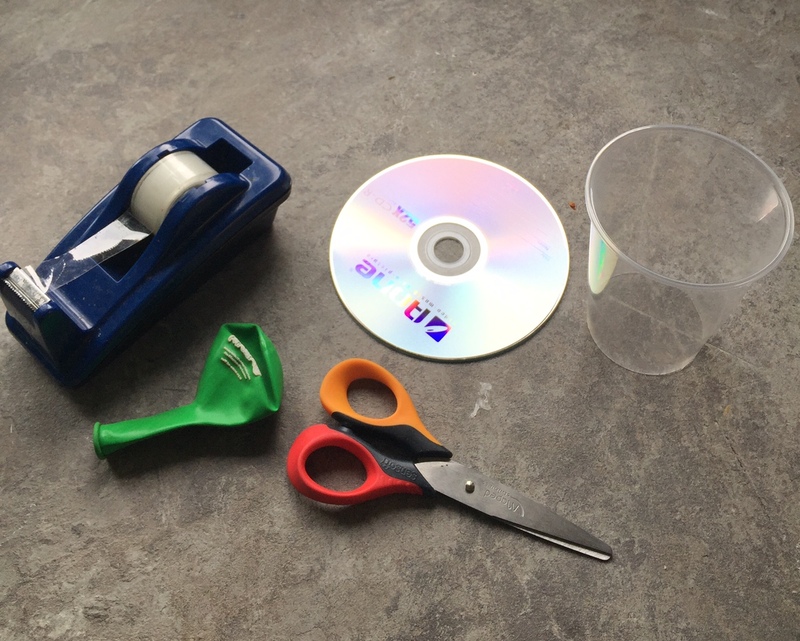 Make your own mini air-cannon using things that you probably already have at home. 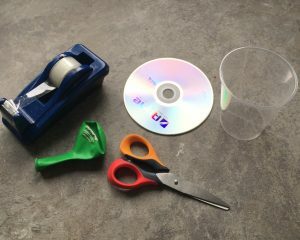 Follow the very simple steps and blow people away with your very own mini air-cannon! Cut the bottom off the plastic cup. An adult may need to assist with this. 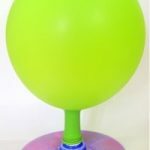 Cut off a small section from the top of the balloon and stretch it over the top of the cup. 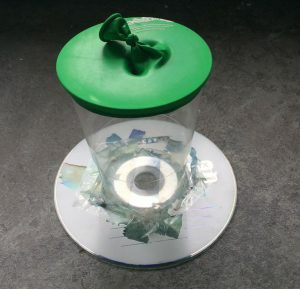 Place the cup on the CD, over the hole in the middle and secure using sellotape. 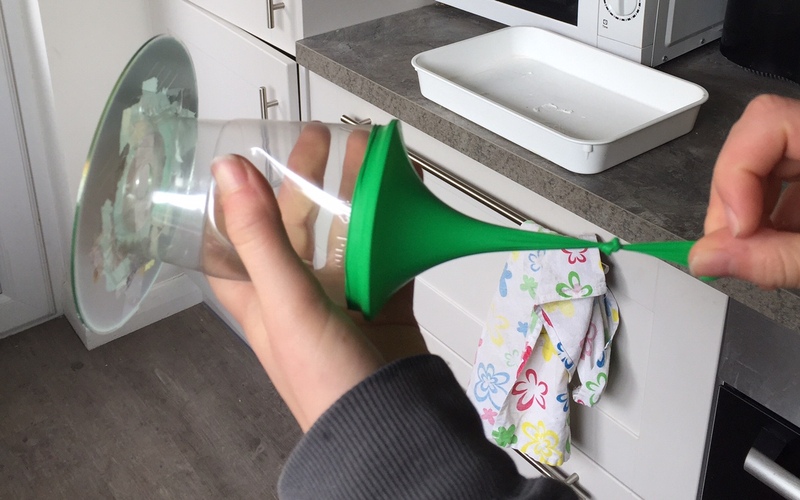 Hold the cup, pull back on the balloon using the tied end and release! Blowing a cup off someone’s head using your mini air-cannon. When you pull back the balloon on your mini air-cannon it lets more air in, but when you let go there is less space for the air so it gets pushed out through the hole in the CD. As the hole is a lot smaller than the space inside, the air gets concentrated as it all tries to rush out through the small hole.